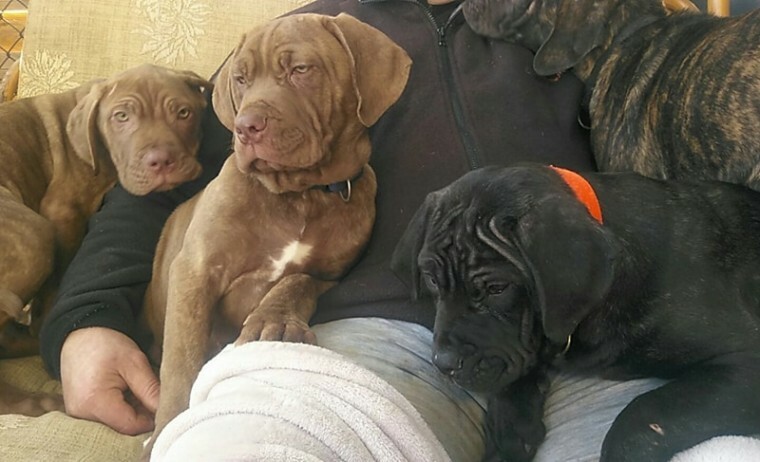 I have a stunning litter of 9 Cane corso puppies. 4girls and 5 boys Being brought up in a loving family home so used to all household noises and the are very good with children and other pets. Pups Are Fully vacainated now, fully wormed, Microchipped and will have pet passport. An also been vet checked again an are fit an healthy pups, they are Ready to go to there new homes Pleas text me or call me for more information.